Two major Visual Snow researchers are seeking volunteers to participate in upcoming studies. The testing will be done at King’s College and Monash University. For further information please contact them directly utilizing the email links below. 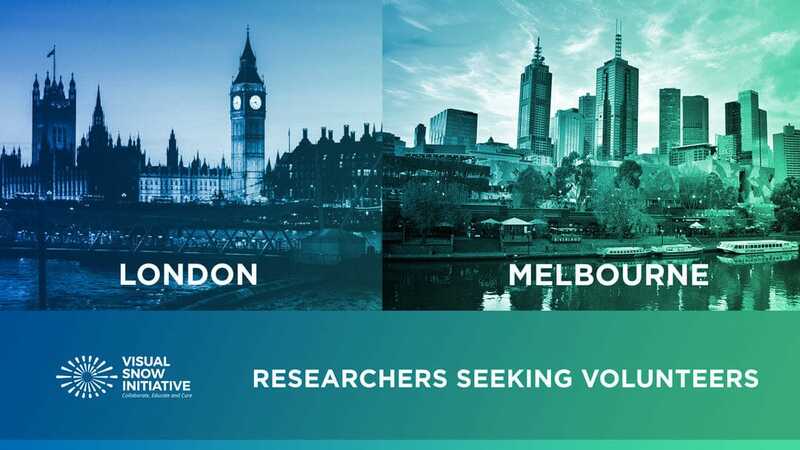 Monash University is seeking volunteers to participate in their Visual Snow research in Melbourne, Australia. If you are interested, please send your name and contact information to visual.snow@monash.edu and they will respond. Kings College is seeking volunteers to participate in their Visual Snow research in London, England. If you are interested, please send your name and contact information to vs-research@kcl.ac.uk and they will respond.